New projects generally mean new challenges, which means experimenting, fun and possibly some rage. Most of the things that are made during R&D aren't really worth sharing, but you can see some of our favourites from the past few months below. One year we will actually manage to get a full alphabet together, but for now this is all we have. #8, created by Dan as part of an internal 'practice' project at Mr.P Studios. 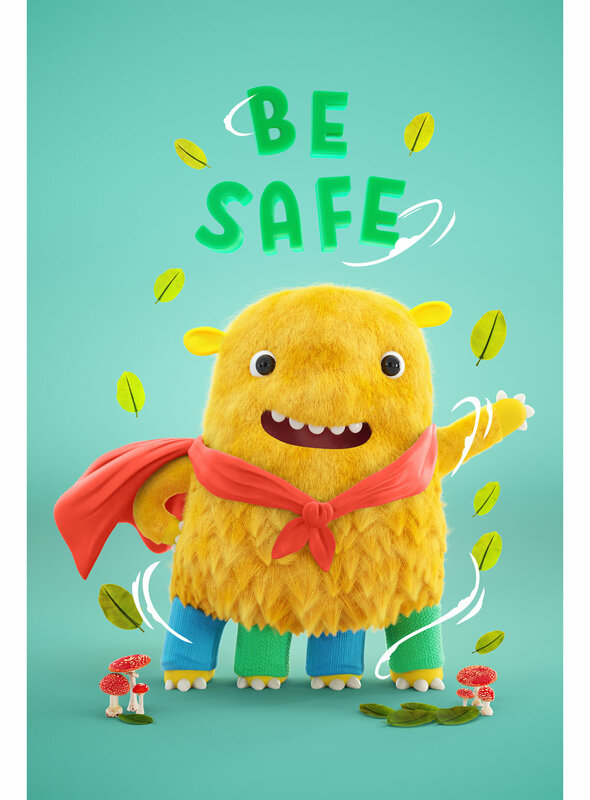 Our third and final character in the set, the 'Be Safe' monster. We had lots of fun and quite a bit of frustration trying to get the hair and fur to look exactly how we wanted. But, we got there in the end. 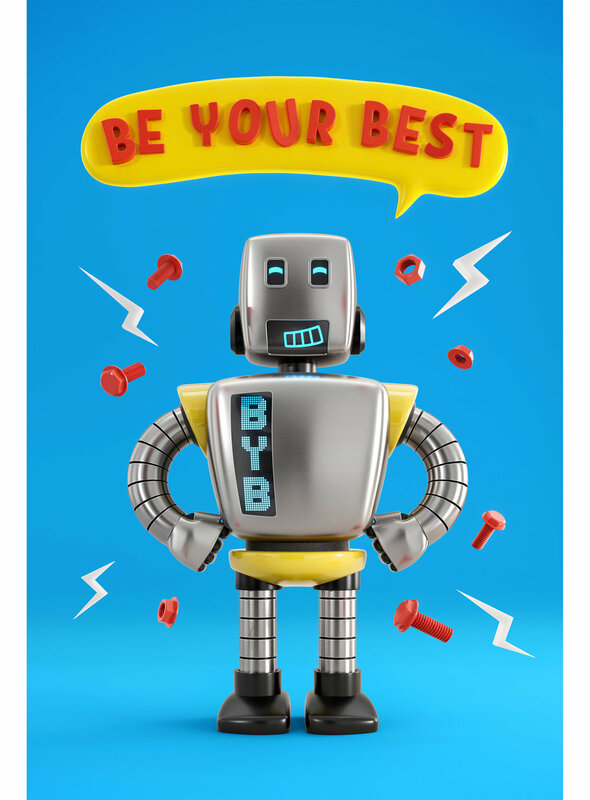 Our second character in the set, the 'Be Your Best' Robot. Our latest project is coming to a close, so we thought we would start to share what we have been up to for the past couple of months. We were asked to recreate three characters designed by kids from a local school. Each character had their own specific school value and accompanying colour. The first of which is a 'Be Respectful' Fairy. 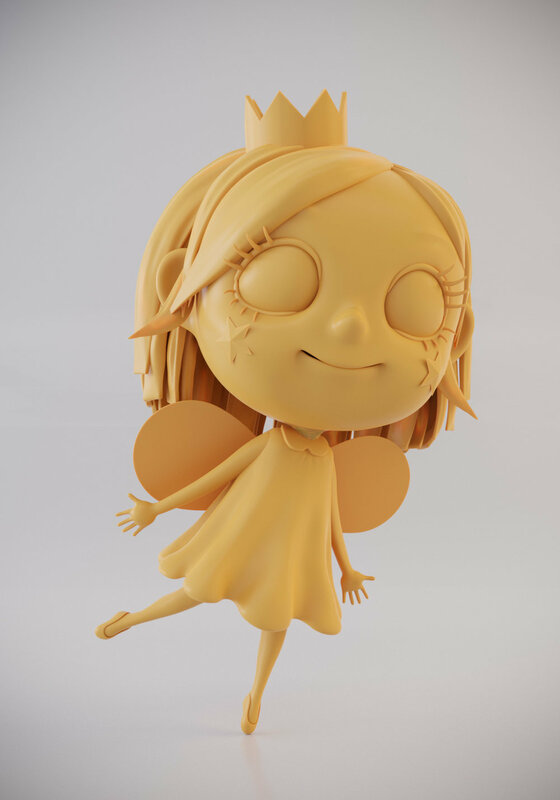 And a couple of work in progress clay renders. After we finished our latest Monster Project entry, we were told that the team at The Monster Project would like to include our 2 entries in their upcoming art book. We gladly agreed, purchased a couple of books and patiently waited for them to arrive. The books arrived a couple of weeks ago and we are over-the-moon with them. The print quality is great and we ended up with our illustrations on two double-page spreads =D. Hopefully we will be invited back to participate in 2018! !